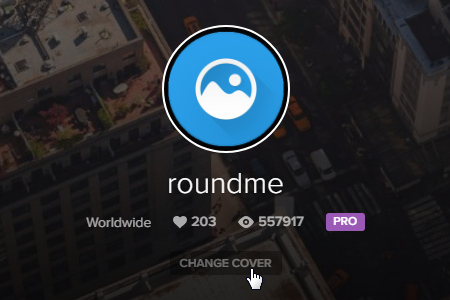 How do I customize my Roundme profile? You can customize your profile so that other people can get a better sense of who you are and what are your interests are. You can start with changing the the cover (background image used on your profile page) To browse your profile, click the profile icon at the top-right of your browser window and click your username. As a next step you can update you profile information displayed in the 'About' section. To customize your profile settings, click the profile icon at the top-right of your browser window and choose 'Settings'. Complete the social media section to point to your other social network profiles including Facebook, Twitter and Google+. It enables others to follow you on these platforms, amplifies your brand awareness and optimizes your company through search. The 'About' section is a great opportunity to introduce yourself. Here you have space for 280 characters to tell who you are, what your experience is and why others should hire you!